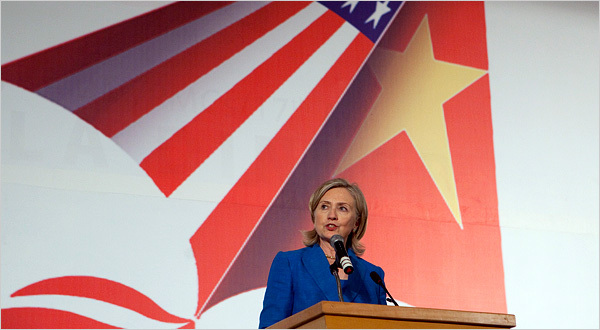 Last week, U.S. Secretary of State Hillary Rodham Clinton paid a two-day visit to Vietnam as part of her week-long trip around Asia. 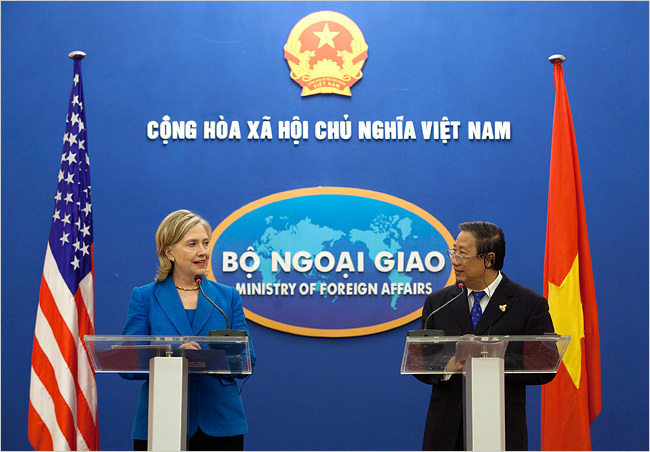 Mrs. Clinton had a discussion with Deputy Prime Minister, Pham Gia Khiem, about human rights, raising the issue of Vietnam’s jailed democracy activists, as well as religious and internet freedoms. Though Khiem simply talked around these subjects, as a Communist would, it is a good thing that Mrs. Clinton raised these issues. These days, relations between the U.S. and Vietnam have been particularly warm. For many possible reasons, which will be discussed in the future, America and Vietnam have become increasingly cooperative, and it looks like situations will continue to improve. It is too idealistic an observation to say that American influence will simply bring democracy to Vietnam, but it definitely wouldn’t hurt to have this influence. Hopefully, with improving relations between Vietnam and America, simple yet critical issues, such as fundamental freedoms, can be dealt with in Vietnam. Maybe in time, America’s ideas may influence the actions of the Vietnamese leadership. If not, then maybe they can pave the way for a new generation of leaders, ones who are capable of leading the country to a better place. It is still way too soon to make any conclusions, but wether or not things materialize, it’s always good to hope for the best.